Another American Defense Secretary visits China, another Chinese stealth fighter design is unveiled a few days before. 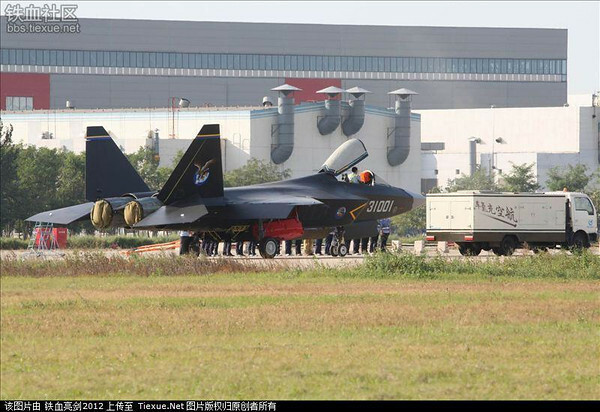 In a repeat of the Robert Gates/J-20 show, photos of a stealth fighter have published on Chinese online forums. Taken at Shenyang Aircraft Corporation's home at Shenyang-Beiling Airport in China's Liaoning province, the new design looks strikingly similar to the F-22 Raptor air dominance fighter, although what jumps out is still the conventional configuration of the twin exhausts (speculated by various online sources to be Klimov RD-93 turbofans), suggesting a low emphasis on rear aspect stealth like the J-20. 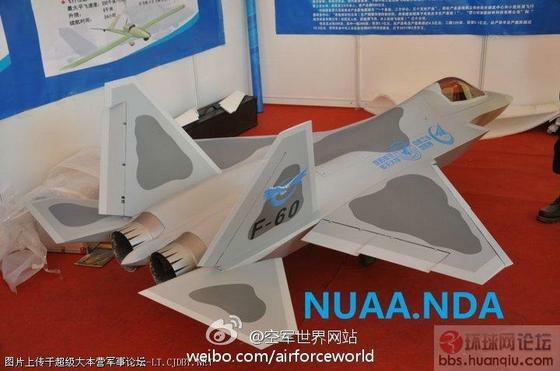 Rumours of multiple, possibly competing, Chinese fifth generation stealth fighter designs have existed online for years, and the emergence of this new design would seem to bear this out. The designation of this new aircraft is still in dispute, with J-21, J-31 and F-60 (due to this photograph of a scale model at a defence exhibition) being reported. However, given Shenyang's usual numbering procedures, this prototype being serialed "31001" would make J-31 being the likely designation of this new type.